Most kids don't respond to the typical reward/punishment models that are out there, especially if you've used that approach over a long period of time. A heart-based approach is far more effective. All parents want to reach the hearts of their kids, but what is the heart? 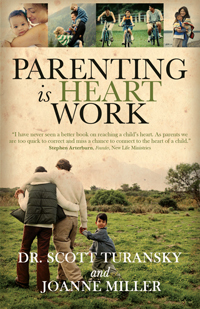 This book shares the results of a study that examines the 750 times the word “heart” is used in the Bible and first asks the question, “What is the heart?” Parents find the conclusions insightful and empowering. 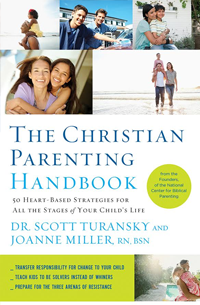 Then the book asks an important application question, “If that’s what the heart is, then how do we parent differently?” As parents read this book, they gain greater understanding into the heart and life of their own child, resulting in significant action steps that encourage change. The routines you have in family life are strategic for heart change If you use them as therapy for character development. This one manual will guide you through an important process to develop the therapy routines in your home in common areas. The heart contains tendencies. Some kids have a tendency to be disrespectful, react in anger, or are mean to a sibling. This resource breaks it down and helps you change tendencies in your child. The Instruction Routine, for example, teaches kids cooperation, responsiveness to authority, and responsibility. It's not just about changing the way you give instructions. It's about practicing the Instruction Routine over and over every day to build patterns of thinking and acting. 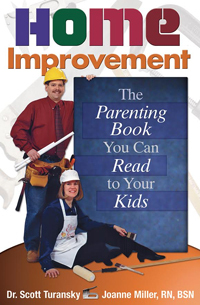 Three chapters on correction help parents reach the hearts of their kids using a Break, a Positive Conclusion, and 7 Categories of Consequences. Attitudes, and Accepting No as an Answer each take a chapter. By practicing these techniques, heart issues in kids are addressed one step at at time. The book comes with eight 45-minute audio sessions that complement the chapters. One of the key words in a "heart-based" approach is "strategy." Instead of reacting to problems, the strategy provided in this curriculum provides you with an action plan. In some cases it means learning new techniques and approaching the same problem using a multi-faceted approach. This book lays out that strategy and helps you develop a practical, workable plan. Using the same strategies God uses with his children, this book outlines a specific ACTION PLAN to develop for any child of any age with any problem. 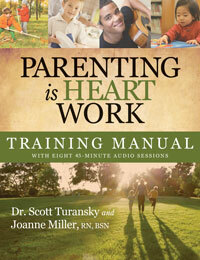 You’ll learn how to use five components to address the tendencies of a child’s heart. 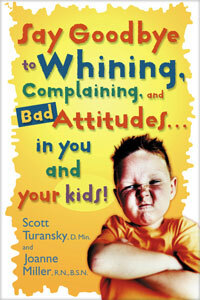 The book comes with 12 audio sessions and outlines 12 meetings to have with your child to address character. One of the keys to internal motivation is to help kids develop a strong conscience. This isn't just about moral things. It's about being responsible. The four promptings of the conscience often need support and guidance by parents. They are Do What’s Right, Deal With Wrongs, Be Honest, and Care About Others. We take you step by step through each area of the conscience to understand it and parent in a way that helps strengthen this internal guidance system designed by God. Spiritual development is also addressed in ways that help kids maximize their spiritual growth. 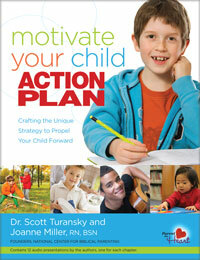 You will have a greater understanding of your child's challenges and specific tools for casting a vision for change. All kids need honor but those who demonstrate selfishness benefit from it tremendously. Honor addresses selfishness and many of its manifestations. For every form of selfishness, there’s an honor-based solution. Many kids often end up with relational challenges and the biblical concept of honor is an excellent solution. It helps parents focus on the positive trait a child needs to develop instead of focusing on the negative traits kids need to get rid of. The Companion Guide is a workbook of 50 lessons along with 50 audio tips to take you through The Christian Parenting Handbook step by step. 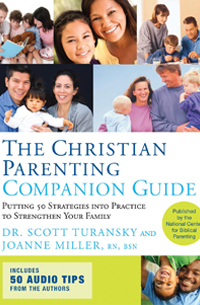 Each lesson contains advice from Dr Scott Turansky and Joanne Miller in a 5 minute audio tip and then offers teaching, an assignment, a Bible verse, and a prayer to help you apply each idea or strategy in your family. The tips are available to you as MP3 downloads and access to them comes in the workbook. Nuggets of parenting wisdom condensed into 50 short chapters, each one biblical, practical, and relevant for parents of children ages 2-18. Learn appropriate ways to correct, instruct, and set limits. Glean wisdom for dealing with emotions, conflict, and developing closeness in your family… and much more. These 50 strategies provide you with hands-on tools for parenting children of any age. Four truths that will motivate you to continue on when you're tired, discouraged, and ready to give up. A powerful strategy to help children change their hearts--not just their actions. A unique concept that will reveal the cues you give to tell your children when they must obey. A six-step "Secret Weapon" you can use when all else seems to have failed and you need a bigger plan to help children develop character, not just change their behavior. Three practical ways to be a coach to your children and help them learn from life. One small ingredient to add to your parenting to help your children develop wisdom. A three-step plan to help your children deal with anger through frustration management, anger control, rage reduction, and releasing bitterness. 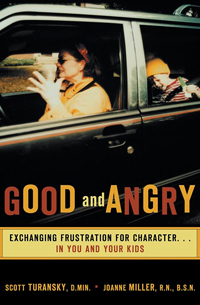 Recognizing the very real emotions parents feel, Good and Angry taps into the constructive side of your anger and teaches new strategies for addressing the things your child does that drive you crazy. Paperback, 242 pages.